Watch Kennedy open her newest Shopkins (5pk) and (12pk). Kennedy is still crossing her fingers for a Limited Edition! Also, check out this freebie on the I like big bows blog. 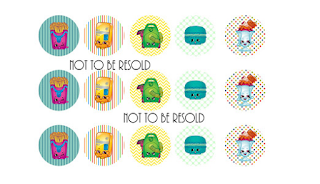 It's a Shopkins Season 3 bottlecap image sheet for your craft projects!